Organising a wedding day is time consuming and stressful so let WOW take the stresses away leaving you and your wedding guests free to enoy the best day of your life! 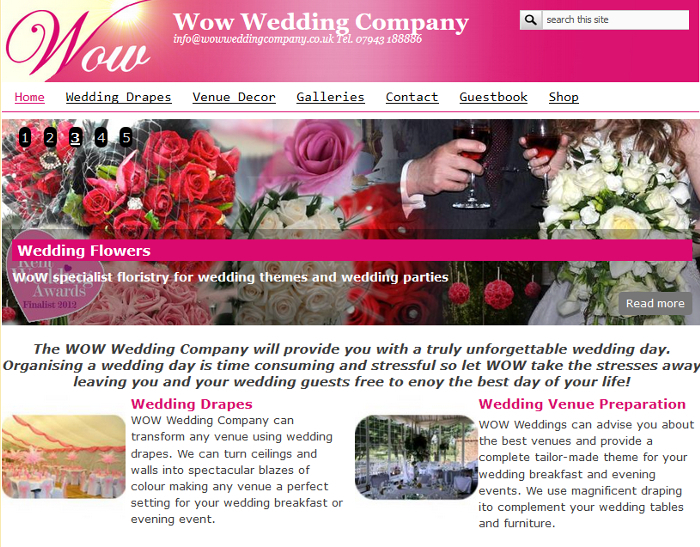 This website presents a showcase of the type of decor provided by WOW Weddings. A gallery can be easily maintained with new photos and full control is maintaned over the testimonials.